By the end of the second day, the young sailors were racing. 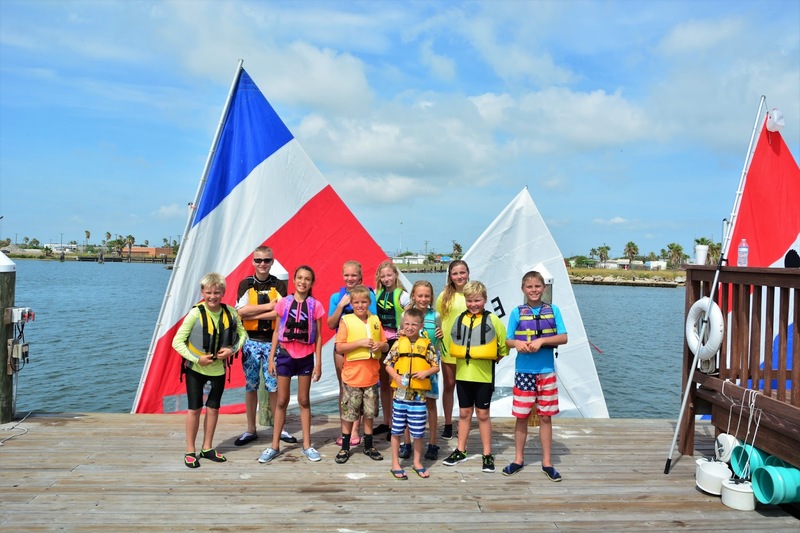 For the third year in a row, a group of Rockport youth have been discovering the joys of sailing thanks to the "Learn to Sail" program sponsored by the Rockport Yacht Club. This year's program, held July 29 and 30 in the harbor across from the Yacht Club, is free to members and non-members alike. 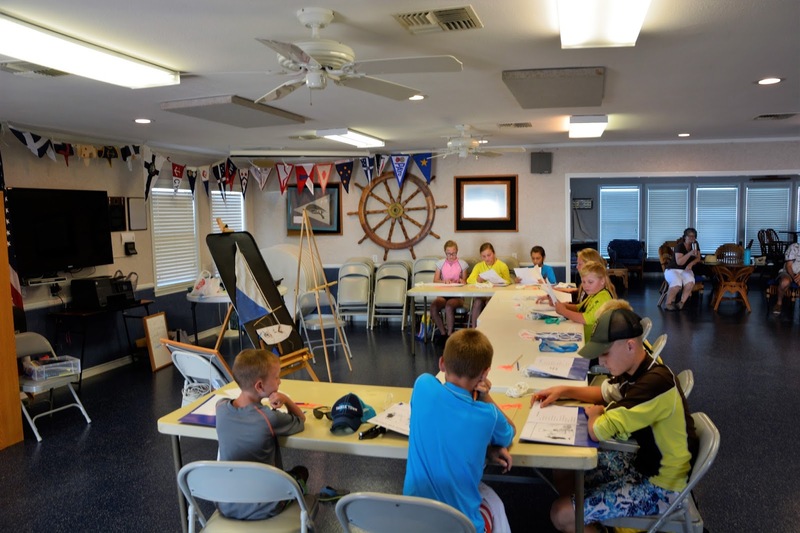 Youth from the ages of 10 to 18 participated in the two day class led by experienced sailors from the yacht club. Learning the parts of the boat was an important start to the day. 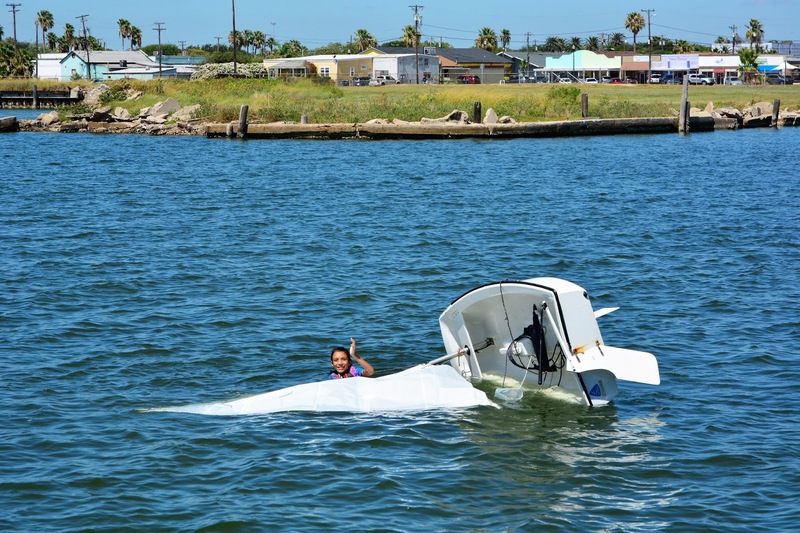 The first on the water lesson was how to get a capsized boat upright again. Sometimes getting it to go over is as hard as getting the boat upright again. The students first learned about safety issues, parts of the boat and "rules of the road" before heading out to the water. 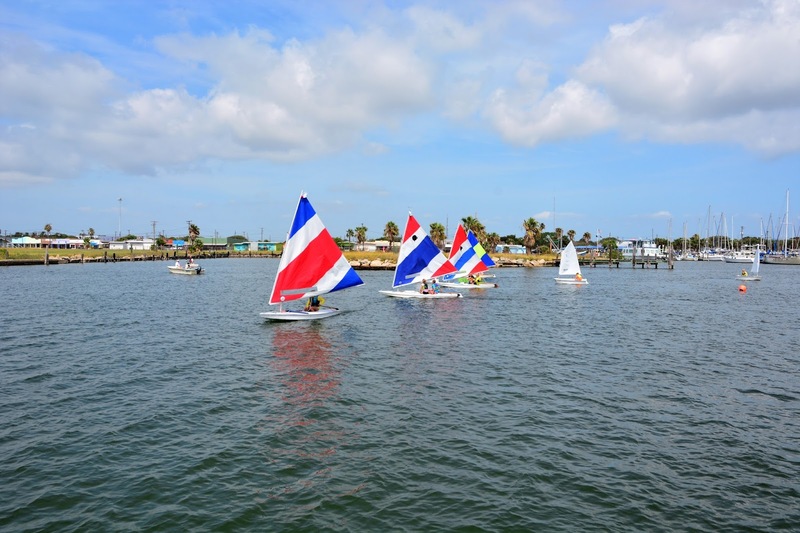 Initially each child went out with a more experienced sailor in the club's sailboat fleet of Sunfish and Optimus sailboats. By the second day, however, each sailor was not only sailing on their own, they were also confident enough to begin racing one another. 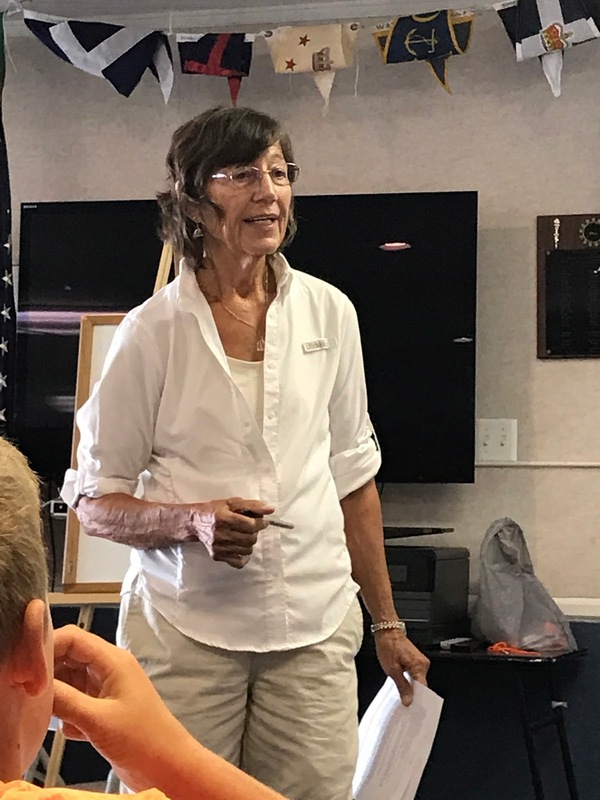 Experienced Sailor Barbara Mathis teaching the classroom portion. Club member Barbara Mathis was the classroom instructor, and water coaches from the club assisted on the water both days. Funding for the class came from proceeds from the club's booth at the Nautical Flea Market and a quilt raffle. 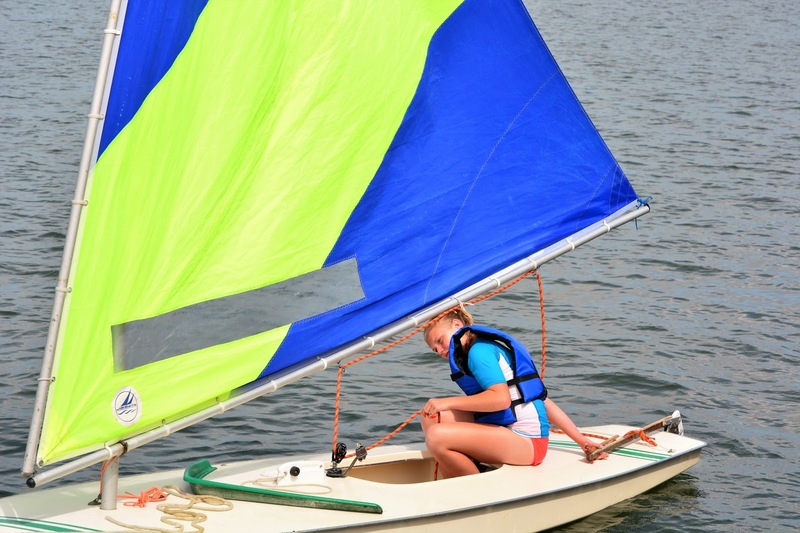 This has enabled the club to obtain more boats and equipment and to provide the classes for free. 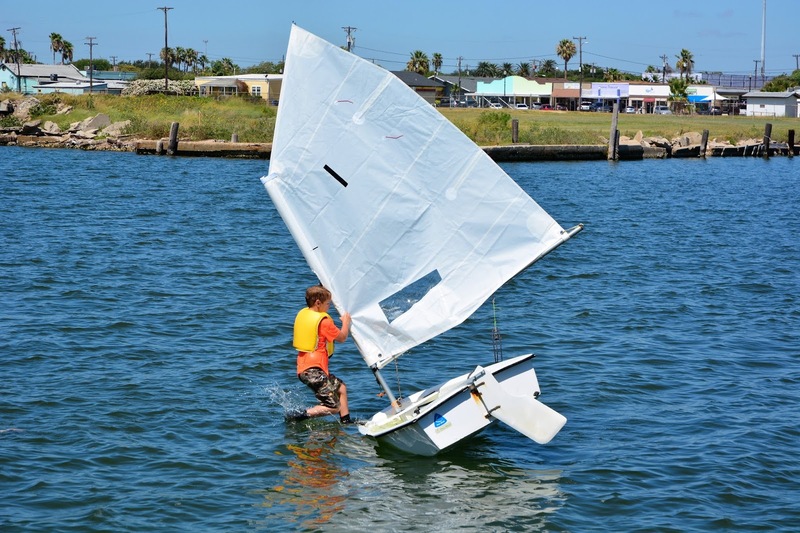 The instruction and on the water coaching assistance is done by members of the club who donate their time to the effort. Who says learning can't also be fun? Sometimes boats just need a little help to get out of trouble. Putting all of the day's learning together. 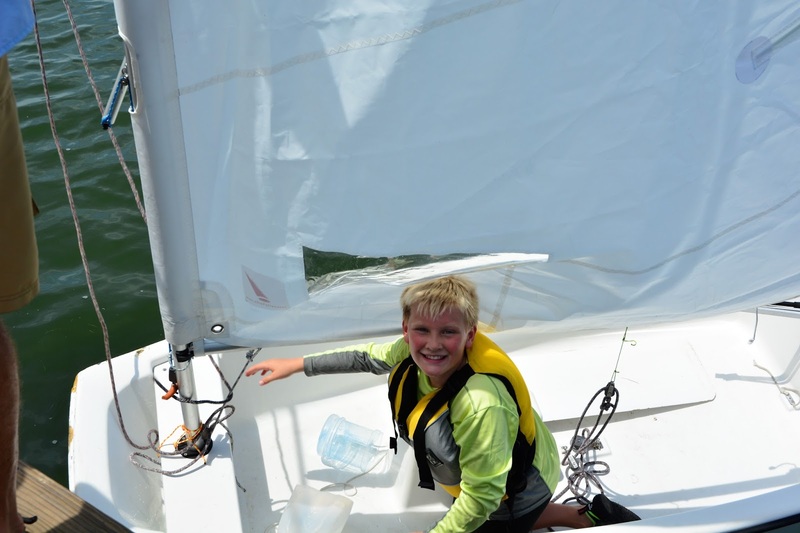 The club's Commodore, retired firefighter Scott McKay commented that "It makes all the work we do in the flea market and every other fundraiser worth it to see kids who can't sail a lick on Saturday morning racing by Sunday afternoon. It is incredibly rewarding." The responses of the young sailors are the best indicator of the success of the program, however. 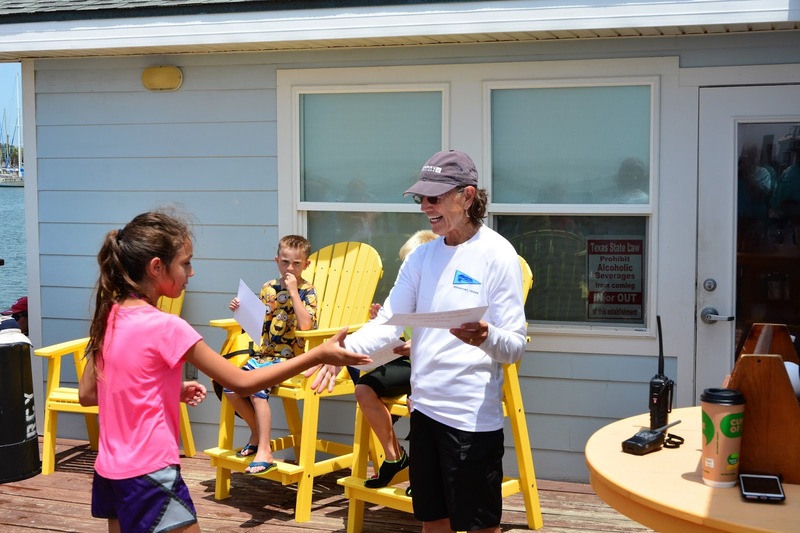 Several of the youth indicated their intention to return on Tuesday nights to compete in the weekly Sunfish Races at the club.